Once in awhile I actually get to create a card for fun! And that's what today's card is. 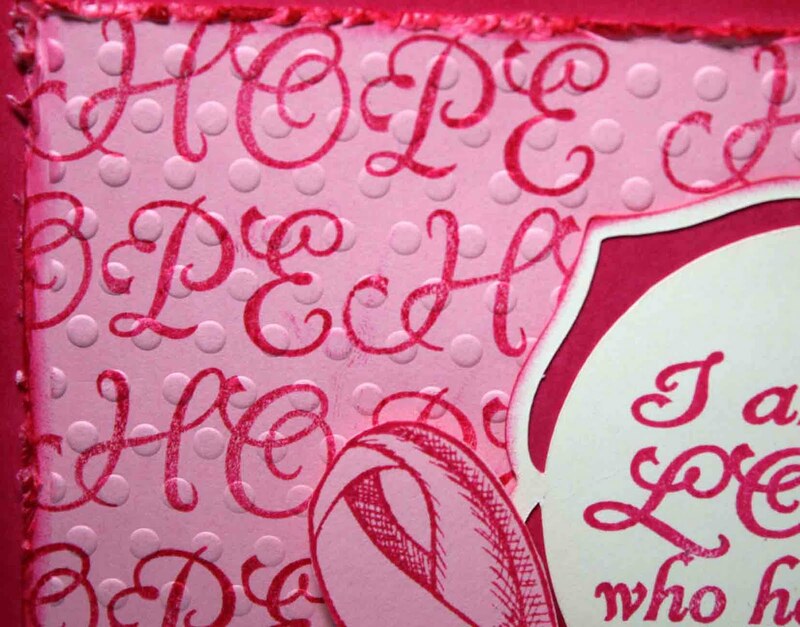 Inspired by the Stamping in Time Challenge over at Our Daily Bread Designs to create my own patterned paper, I decided to create a text background using the word "HOPE" from their "Hope" stamp set. 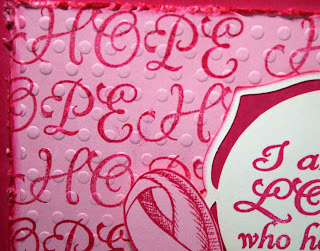 Using Melon Mambo ink from Stampin' Up!® I stamped the word "HOPE" onto Pretty in Pink cardstock also from Stampin' Up! After the text background panel was completed I ran it through the Cuttlebug with the Polka Dots Embossing folder. 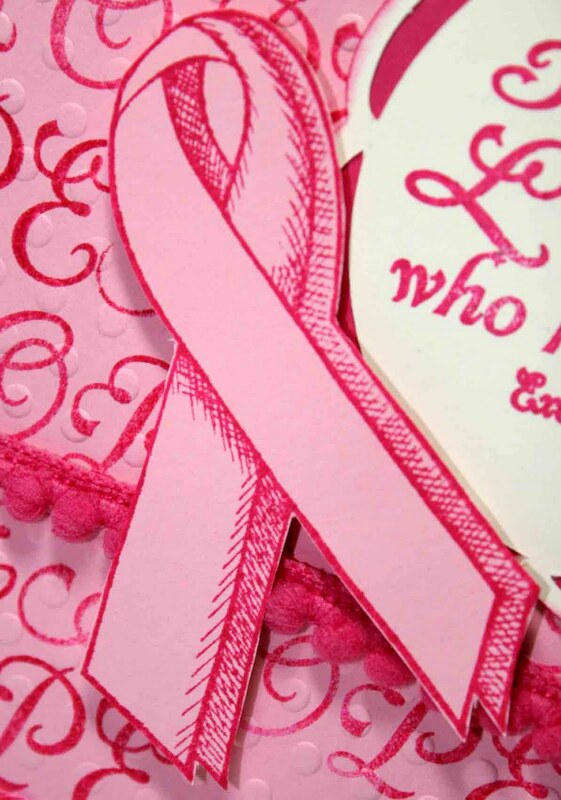 Next, I stamped the awareness ribbon image onto Pretty in Pink cardstock with Melon Mambo ink and cut it out. Using my Cricut Expression and Elegant Edges cartridge I cut out the label in Very Vanilla cardstock and stamped the scripture on it in Melon Mambo ink. I then adhered that to the base layer of Melon Mambo cardstock, lightly inking the edges after I adhered it. Pretty in pink! Lovely Jenn! Absolutely beautiful card! I love the pink and the meaning behind it! Your verse couldn't speak to a better cause! 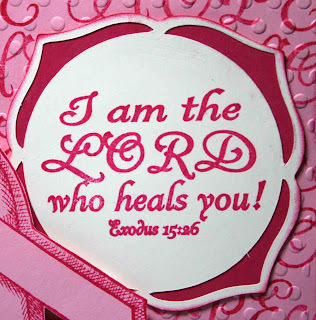 He heals! God Bless! I love the monochromatic style of this card. I always like this technique but forget to use it myself. Very pretty! this is gorgeous! i love those odbd-stamps, too! 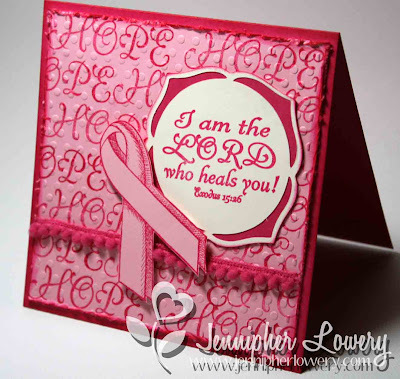 wonderful card and the idea to use the "hope"-stamp as a background-stamp is very cool! you are inspiring me, sweety! 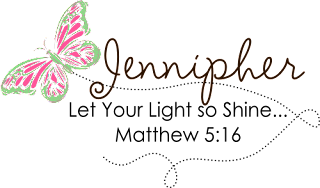 Gorgeous card Jennipher! I love how you created your background! Sooo beautiful! This is beautiful, love the background and all the pink, especially what it means. I think your card is absolutely beautiful Jennipher! The pinks are great together...very nice work Hun & TFS!!! I LOVE the new look of your blog and I am totally loving your work girlfriend. You've stepped it up so much it's amazing. It was always fabulous before but you are really outdoing everything! Wow Miss Jennipher! 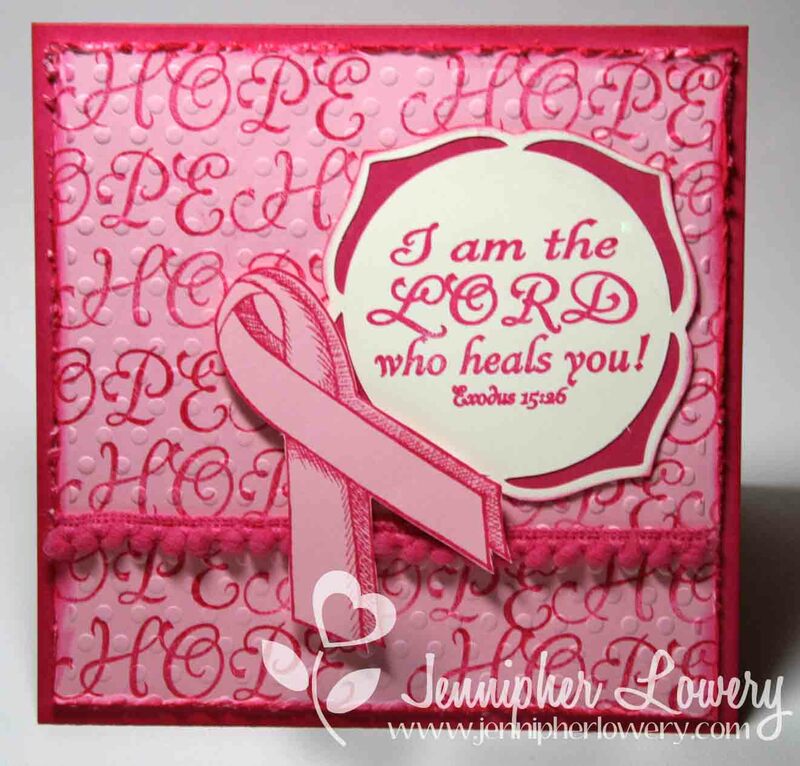 What an Inspiring Think Pink card! Love your Beautiful custom BG and Wonderful sentiment. Beautiful card Jennipher! I love all the pink and the hope background you created. SPEECHLESS! Absolutely GORGEOUS, Jennipher! Stunning design and detailing! Thanks so much for playing ODBD Stamping In Time Challenge! WOW! 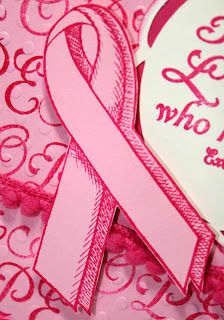 I love all the pink and what it stands for. What a fabulous Breast Cancer Awareness card. Gorgeous Breast Cancer card. 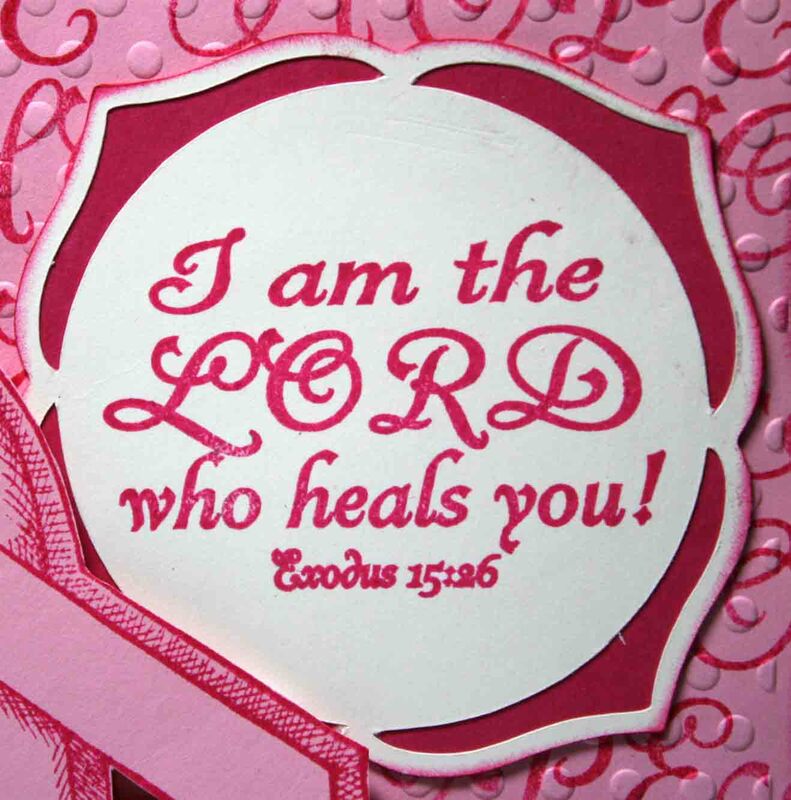 I love that you used a Bible verse and choice of pinks. TFS. Red with pink will go more good!